Sunday, Feb. 7 marked the 30-year anniversary since Baby Doc, Jean-Claude Duvalier, exited Haiti in ignominy ending almost 30 years of the Duvalier dictatorship. Haiti Cultural Exchange chose this date to engage the community through film, performances, reflections, personal testimonies and conversations around the impact of the Duvalier rule. 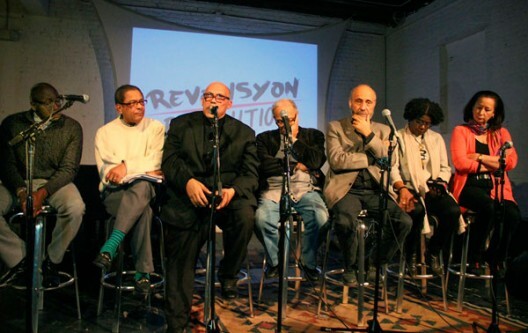 The day at Shapeshifter Lab culminated HCX’s year of Revolisyon / Revolution programming. Jonathan Demme’s Oscar-nominated film “The Agronomist,” which explores political repression and remembrance, served as an anchor of the afternoon. The documentary about the Haitian radio personality Jean Dominique covers many eras of Haitian history as it highlights Dominique’s fight for democracy. In the early 60s, Dominique, who had studied agronomy, bought Radio Haiti (later, renaming it Haiti-Inter) and turned it from entertainment into a vehicle for information. He broadcast in the language of all Haitians — Kreyòl, one of the earliest stations to do so. Speaking out against successive dictatorships, he fled the country twice: from Duvalier in 1980 and from the Cedras de facto government in 1991. He returned in 1994 continuing to use his microphone to speak out against vested interests. Dominique was assassinated in 2000. … Read the rest of the article at Caribbean Life News. To view pictures from this event, click here. This entry was posted on Wednesday, March 2nd, 2016 at 12:17 pm	and is filed under Archive, Arts, Events, Film, HCX Programs, Literature, Music, Photography, Poetry, Public Forums, Uncategorized, Visual Art, Weekend. You can follow any responses to this entry through the RSS 2.0 feed. You can leave a response, or trackback from your own site.